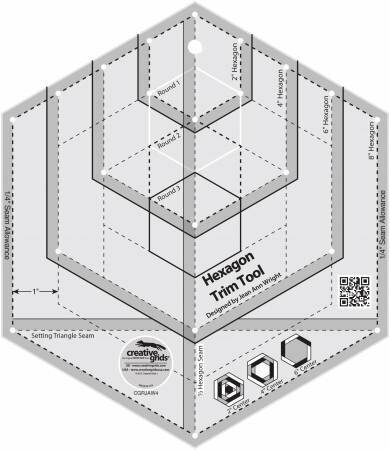 Note: This tool cuts finished hexagons that measure 8 in. from side to side. From point to point the cut hexagon is slightly less than 10 in. so they can be cut from 10 in. pre-cuts. Pattern requires inset seams? No problem - use the drilled holes to mark the seam allowances. The template slides easily over the fabric until pressure is applied then, our exclusive gripper holds the fabric in place while cutting, eliminating slipping and miss-cuts!